Dog Man is still learning a few tricks of the trade. Petey the cat is out of the bag, and his criminal curiosity is taking the city by storm. Something fishy is going on! 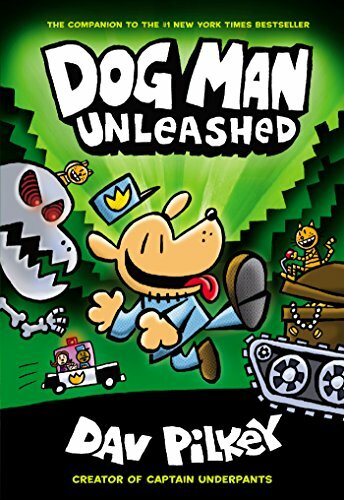 Can Dog Man unleash justice on this ruffian in time to save the city, or will Petey get away with the purr-fect crime?Dav Pilkey's wildly popular Dog Man series appeals to readers of all ages and explores universally positive themes, including empathy, kindness, persistence, and the importance of being true to one's self.